The group will finance the research of techniques for the diagnosis of prostate cancer, the development of therapies against neurodegenerative diseases and the production of a docuweb to raise awareness of the reality of children with special needs. The projects form part of a new cooperation programme launched by the business group, which seeks to promote its commitment as an agent of social transformation. The program, called ELKARREKIN ERAGIN, will financially support the initiatives for three years, and which have been chosen in an open vote by the workers. Researching new therapies against neurodegenerative diseases, developing more efficient techniques for the diagnosis of prostate cancer and making visible the reality of children with special needs are the core concepts of Elkarrekin Eragin, a cooperation initiative launched by the Basque business group DANOBATGROUP with a mission to promote corporate values, social well-being and cohesion of its immediate environment. Within its commitment to development and in line with its strategic plan, the group, which specialises in machine-tool manufacture, has decided to begin a new stage that will allow it to broaden its role as an agent linked to social transformation. In this context, DANOBATGROUP has launched the Elkarrekin Eragin campaign, a participatory project in which the workers from the cooperatives that make up the group (DANOBAT, SORALUCE, LATZ, GOIMEK, GOITI, IK4-IDEKO and DANOBATGROUP) have been responsible for proposing the cooperation and research programs to which they would like to contribute more actively. The initiative had a proposal phase, carried out at the beginning of this year, in which the workers presented the projects that, in their opinion, deserved the financial aid. After assessing the proposals, a list was prepared of 10 finalist projects, which were submitted to an open vote of all the workers. From the vote, the 3 projects were chosen with which DANOBATGROUP will work proactively, and will devote a total of €600,000 to finance the selected initiatives. The first of the initiatives chosen by the DANOBATGROUP workers was a research project promoted by the Spanish Association Against Cancer (AECC) that seeks to develop a test based on urine samples. The test will allow prostate cancer to be diagnosed in a simple, cheap and quick way, in the same way as a pregnancy test. The objective of the project is to create a non-invasive method that will make it possible to differentiate between benign, indolent or aggressive tumours, with the aim of choosing the therapeutic measures most appropriate to each patient. Led by the Basque Dr Jesús Martínez de la Fuente and developed in Zaragoza, the project has the collaboration of research groups from the Netherlands, Norway, Latvia and Estonia. 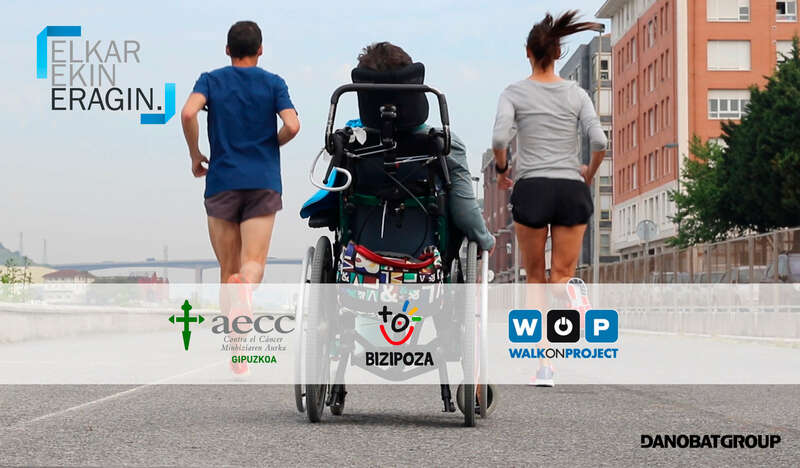 The second entity chosen to form part of Elkarrekin Eragin is the The Walk On Project (WOP) Foundation that finances research projects for developing therapies against neurodegenerative diseases and promoting social awareness. DANOBATGROUP´s contribution to this organisation is aimed at the financing of new projects promoted by the foundation for the development of therapies for application in patients in the medium-short term. WOP, which has fought against neurodegenerative diseases since its creation, is supported by an external advisory committee of the Carlos III Health Institute in the choice of projects that it promotes. In the selection process, the scientific and technical excellence of the work that they receive is taken into consideration, and special emphasis is placed on diseases such as Multiple Sclerosis, leudystrophies, Alzheimer´s and Parkinson´s disease. Finally, the group will collaborate with BIZIPOZA, an entity made up of 32 associations geared to supporting the well-being of families and children with special needs. 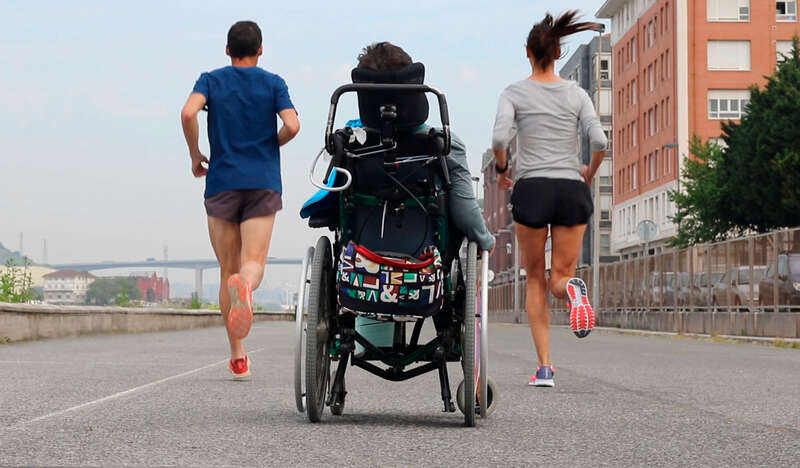 Specifically, DANOBATGROUP will contribute to the creation of a web documentary to raise awareness of the reality of children with special needs through the promoting of values such as solidarity, teamwork, and life in society with Basque as the vehicular language. The project is seeking to establish an important means of dissemination and documentation on the social reality of this group in the Basque country, for which it is planning screenings and presentations of the prepared documentary, as well as its dissemination in several spaces such as the BIZIPOZA website and all the entities and associations that make it up. "With this program we seek to take a step further in our identity as an organisation committed to the progress of our immediate environment, Basque culture, scientific development and biomedical research to promote socio-economic cohesion and equal opportunities", said the president of DANOBATGROUP, Cesar Arriola. With a track record of 65 years in the field of technologies applied to industrial manufacturing, DANOBATGROUP has a workforce made up of more than 1300 highly qualified people. The group is an international benchmark in the machine-tool sector and technologies applied to industrial manufacturing.